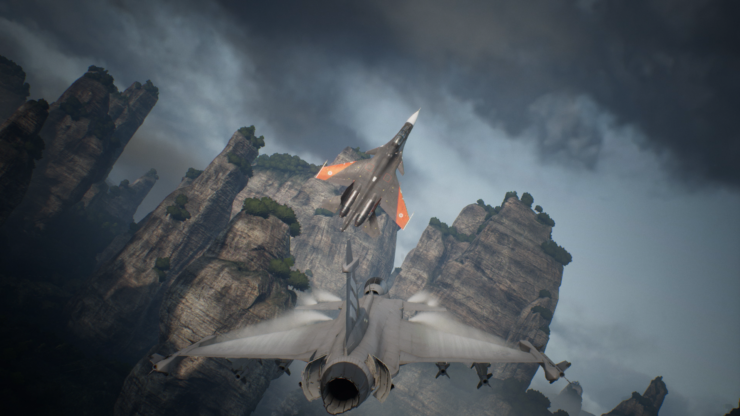 During Gamescom, I was able to have a hands-on with Ace Combat 7. You can read my full thoughts in my preview of the game, but simply put, I’m looking forward to it. The return to Strangereal and the storytelling that has always kept me enamoured with core Ace Combat titles. As well as this, the enhanced visuals, the inclusion of VR support and new features only make the game look better. After my hands-on with the game, I was able to talk to producer Kazutoki Kono about the game and the route it’s taking. Here’s what we talked about. Chris Wray: I understand Ace Combat 7 is making a return to Strangereal. When exactly will it be set in relation to the other Ace Combat games? Kazutoki Kono: It’s set ten years after Ace Combat 5 as a story. So the story is based on the history of what happened then and other previous stories. Chris: So in Assault Horizon you allowed for the use of other vehicles. Will this also allow for that, if not, have you increased the number of planes you can use? Kazutoki: As a numbered title we have focused only on fighter jets. Also, because we have designed every aircraft from scratch again, we couldn’t expand on the variety of the aircraft. However, we have created a variety of special weapons for the player to use. Chris: These special weapons. Are they focused primarily on air-to-air combat or also air-to-ground? Kazutoki: Yes, but also something like lasers and also what we call stealth pod, like something to hand under the craft. It’s a weapon-mounting system that is being researched at the moment for future possibilities in the real world. That’s something we’ve incorporated in the game. Chris: Okay, so you’re working on incorporating future real-world technology into the game? Kazutoki: We think that it’s important to include the not yet realised technology that doesn’t exist yet, but we research for future possibilities. Ace Combat needs to be casual and loose in the sense that everything doesn’t need to be realistic. However, for the setting to be convincing it’s important to go along with reality. Chris: So you want to be based in reality but also be able to expand on it? Kazutoki: Yes, correct, to expand reality. Chris: So how many aircraft have you got in Ace Combat 7? Kazutoki: We can’t announce that yet. Kazutoki: But I think we have managed to include the ones that are popular and that everybody likes. We have planes from the US, Japan and Europe. Chris: Will you also feature older planes, not just modern ones, such as the A-10 Warthog or the MiG-21? Chris: So how many missions will you have in the game? Chris: With the missions you have, will you focus on a variety like in older titles. For example, stealth-oriented missions or ones that focus you on a specific route or area? Kazutoki: We have tried to keep a good balance. In terms of stealth, more gimmicky missions, we have tried to make it more like spice in the overall campaign. So we’ve made them in a small number. In terms of the size of the battlefields, we have different varieties, from large to small. You will find that in one mission, though, there is a variety. It may start as a stealth mission but then change. Chris: Adding onto this variety, have you incorporated a variety of terrains to support this and to make it more engaging? Mountainous terrain for stealth, for example. Kazutoki: Every mission will have one map each, with each of them having their own environments. Some of them may only feature mountains, where others may feature towns and nature mixed together. One of the key features of this title are clouds. We have maps that utilise clouds. Chris: I noticed when playing a difference with clouds. Can they now be used to provide yourself cover from enemy attack or will the AI even use clouds to provide themselves cover against you? Kazutoki: Exactly right. We wanted to create playfulness using the clouds. They are all 3D, with their own volume. Inside clouds, the visibility isn’t great and you also have air currents, making it more difficult to control the craft. For example, the player will have to make a decision whether it is a good idea to go into the clouds to try escape from the enemy or now. Chris: You mention air currents having an effect on the plane. Will you also incorporate other weather conditions, from high winds, heavy rain or even more, and will they have an impact? Kazutoki: Yeah. In terms of rain, turbulence, everybody can feel when you’re on a plane that the sky isn’t so stable, it moves. We’ve tried to create not just an empty space, but something of a texture within the sky. Of course, we haven’t wanted to inhibit the players from playing smoothly though, so we have sought a balance. Chris: So you’ve looked for a balance between realism and having it accessible for players to get into? Kazutoki: Yeah, that’s right. I think that meeting a good balance is the time-consuming element of the game’s development. Also, if you get the balance right, hopefully, people will like the game. One difficult thing is because such fine-tuning is so time-consuming and costs a lot, it’s also not very visible to the players, which is disappointing. Chris: I can understand that, but it will be more what the players feel than what they see. Kazutoki: Certainly. If the players feel good and they think it’s smooth, then I think it’s a success. But it’s tricky because if nobody notices it, it’s a success, isn’t it? Chris: True. If the players notice the turbulence but it’s not too hard on them, it’s done right. If they can’t feel it at all, or if it’s too heavy and makes the game too difficult to play, then that’s not what you’re after. Kazutoki: So, my motto is to make sure that the players naturally feel and learn those things. Chris: What platforms will Ace Combat 7 be released on? Chris: Will the PlayStation4 Pro and Xbox One X have any differences or improvements over the basic consoles? Kazutoki: Basically, rather than a visual difference it will be about making use of a framerate improvement. Chris: So you aim to have the versions look and feel smoother? Kazutoki: That’s right. As I said earlier, it may not be very visible at first right, but in terms of playing smoothly and comfortably, we believe it’s important for customers. Chris: Of course, with the PlayStation 4 version you have the PSVR exclusive game modes. It looks absolutely fantastic, though sadly not playable here. 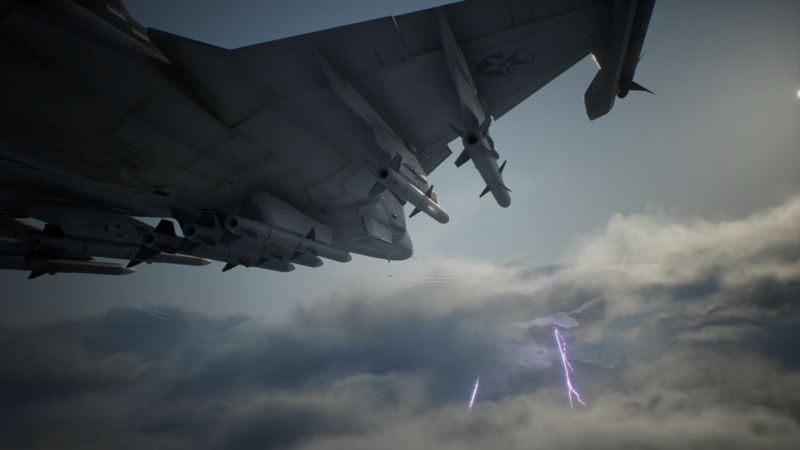 What can you tell me about Ace Combat 7 VR? Kazutoki: The aim is to make people feel like they’re in the game but not in the main story. The main story is more about telling a story while giving you the Ace Combat gameplay while VR is putting you in the game. 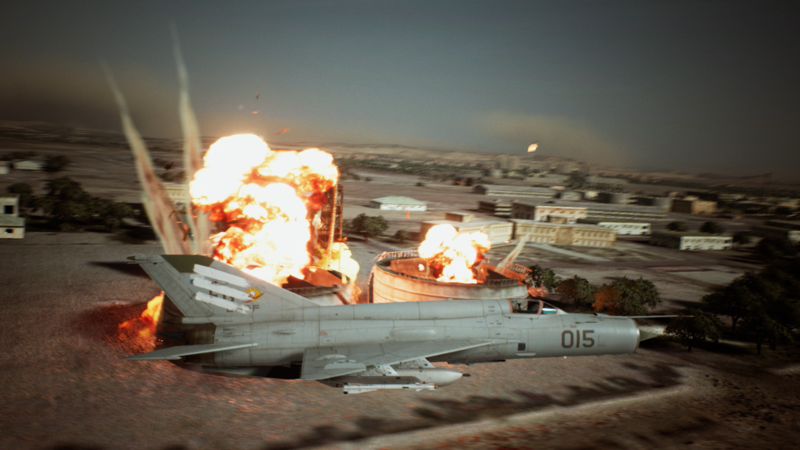 For example, Ace Combat is about focusing on an enemy and VR naturally lets you do that. 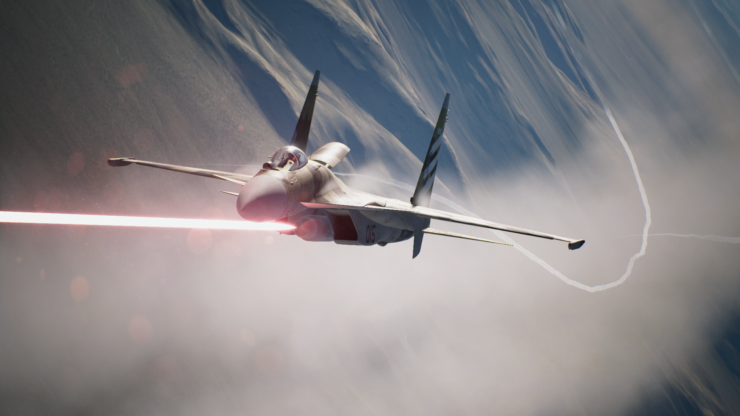 Chris: Do you have a release date planned for Ace Combat 7? Kazutoki: For PlayStation 4 and Xbox One it’s 18th January 2019. For Steam, the 1st of February.